Sometimes you find something and immediately know that it just fits your decor to a tee. I found this really cute little guy that reminds me of a French Farmer a couple of weeks ago and thought he was perfect to go in my kitchen island display. 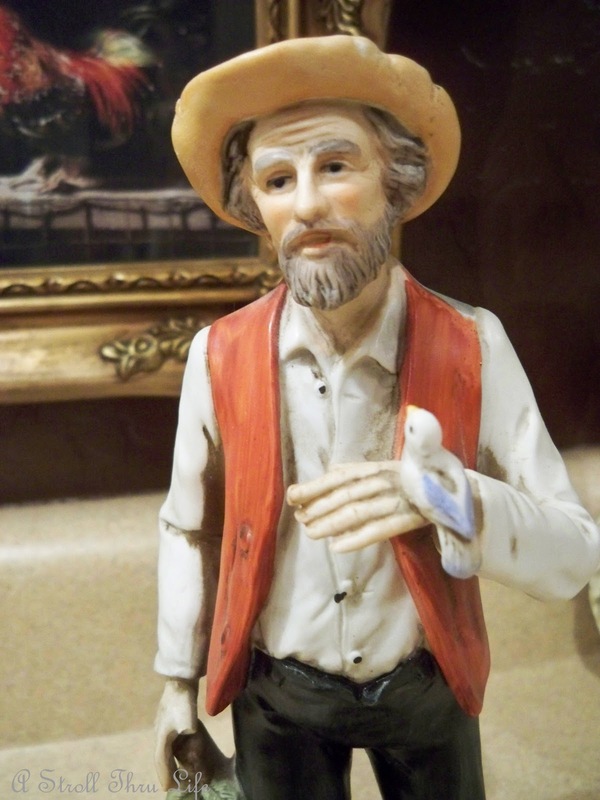 Love his wrinkled brow and his hand holding the sweet little bird. Such a fancy shirt and vest. 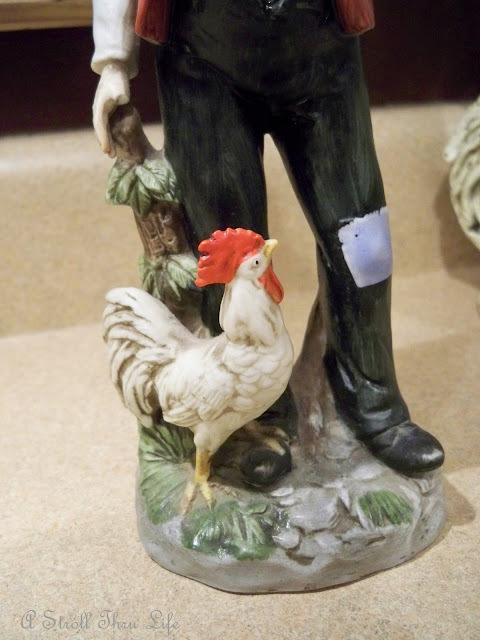 Cute patched pants and of course he has a rooster nearby. 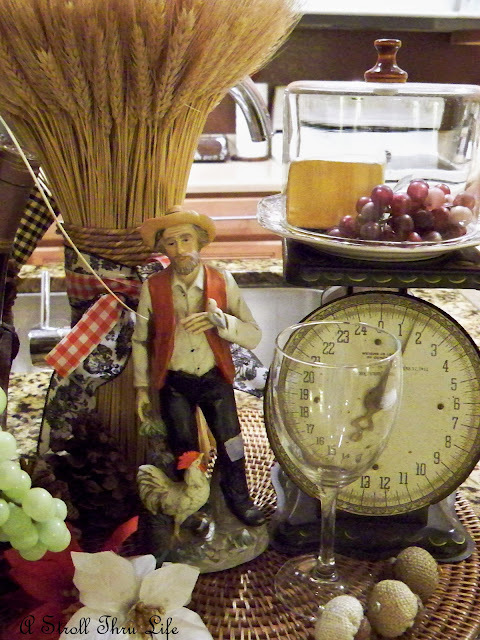 I think he fits in perfectly with my island display of bread, wine and cheese. Elna-Sudden for Show Off Wednesday. He is fabulous! Where on earth did you find him? Well he looks like a french farmer:-) I could need some help with my show off and you have a lot of readers. What a nice find. Perfect in your home. I love your farmer, I would have snatched him up too! Very cute and he looks so good combined with the other items in the vignette. Perfect. Ah Marty, this is so cute! 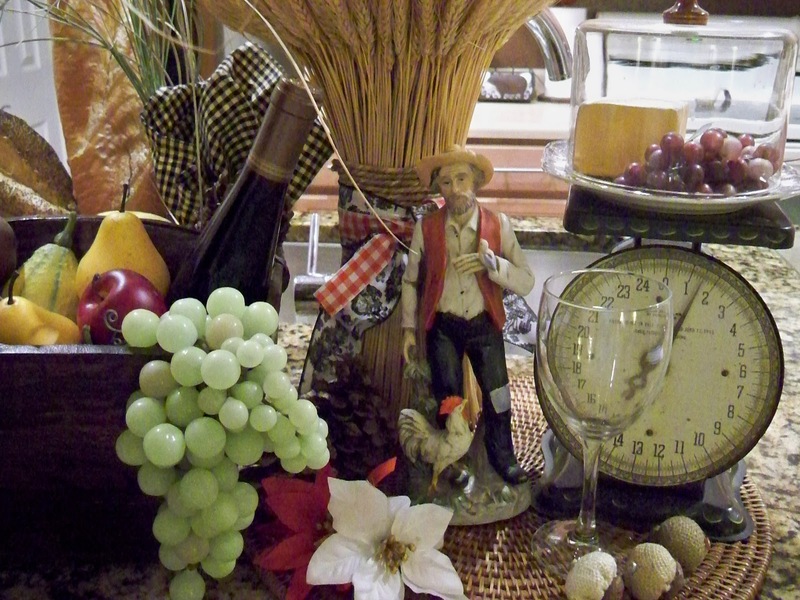 I love the little vignette you have made with him! Oh yes, he is perfect for your kitchen, Marty! I even love him in that one picture in front of the rooster print. 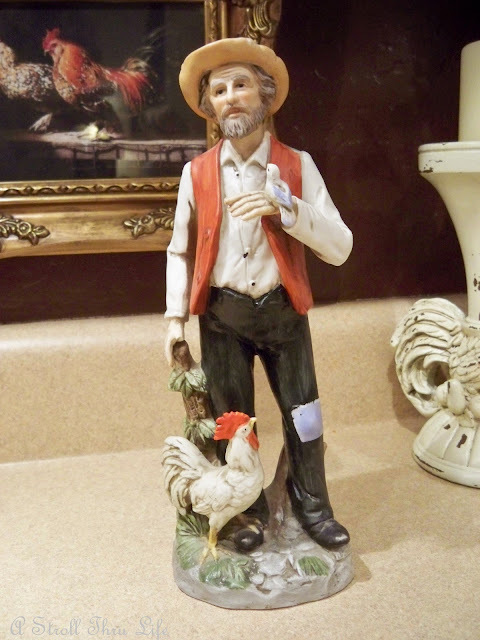 what a great new fella to add to your already pretty vignette. He sure does! Looks like you found him a great home. LOVE HIM! What a great find! The perfect accent for your vignette!!! Oh my gosh, he does fit there perfectly. He was born to go in your display. Love it. I love figurines, and this one is really neat! Your vignettes are always pretty! Love him. He fits perfectly in your lovely mix. You always find the best goodies Marty....he does fit just perfectly! If he isn't darling. I LOVE his character. So real. And your vignette. Well I have learned you ARE the queen of vignettes Marty. I love what you do. And by the way thanks for hosting your wonderful Tabletop Tuesday. I love to be part of it. Marty, what an awesome find! He is perfect with your decor! I love the little bird! Marty,how cute! I have done the same. 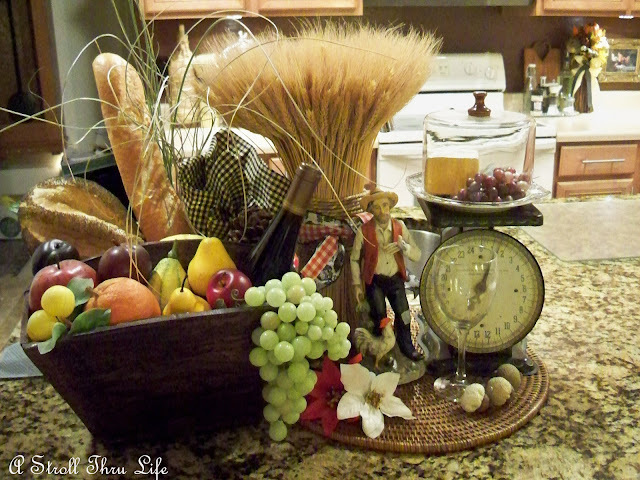 Your Frenchy Farmer looks "right at home" with your kitchen vignette!!! During our years in Germany (7 all totaled) we lived four of those years in a farming community...and the farmers were white shirts to the field every day. This figurine brought back some wonderful rememberances! Thanks for sharing him with us!!! your blog posts. After all I'll be subscribing to your rss feed and I hope you write again very soon!